Où en est ton âme ? 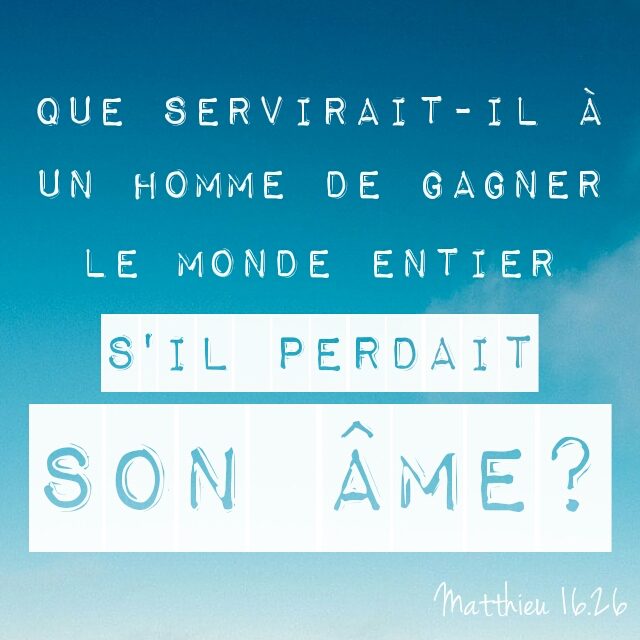 This entry was posted in Matthieu and tagged âme, gagner, homme, monde, perdre. Bookmark the permalink.